Editor’s Note: The below story about Billy from Stranger Things 2 contains minor spoilers. 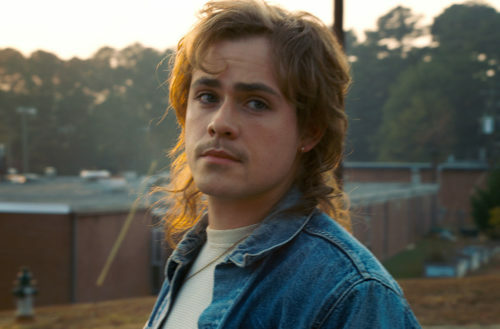 If you’ve been watching Season 2 of the ’80s-era Netflix horror series Stranger Things, then you’ve met Billy, an aggressive bully in a mullet who serves as an antagonist to the preppy boy-turned-good guy Steve. 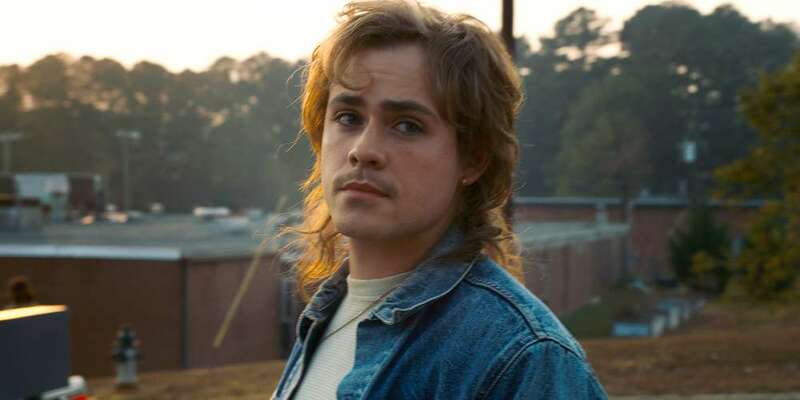 Fans have started to wonder whether Billy from Stranger Things might be racist or even gay, but Dacre Montgomery, the actor who plays him, doesn’t think he’s either. Nevertheless, some evidence seems to suggest otherwise. The Huffington Post points out that many fans see Billy as racist because in Episode 4 he angrily tells his stepsister Max never to talk to Lucas, the show’s young black character. In the following episode, Billy implies violence towards Max if she ever lies to him about hanging out with Lucas. “You know what happens when you lie,” he says. Throughout the second season, Billy is also strangely competitive and obsessed with Steve. At one point, he compliments Steve’s attractiveness while they’re showering. In Episode 8, we learn that Billy has an abusive dad who uses anti-gay slurs, so that might explain Billy’s aggression, but even so The Huffington Post asked Montgomery if he considers the character he portrays to be racist or homophobic. It turns out he doesn’t. Montgomery says the show’s creators, The Duffer Brothers, have said something “far more sinister” than racism or homophobia is happening with Billy — something that might just play out in future episodes and seasons.